COLOR(S): Mixture of gray, black, and cream; the undercoat is pale. They are often wolf gray, with lighter shades on the head and undersides, and with "spectacles" around the eyes. The Keeshond (plural is Keeshunden, pronounced "kayz-hond") is a natural, handsome dog who resembles the spitz of the northern breeds with their richly plumed tail that curls over their back and their thick coat. They are short, sturdy dogs, and have been referred to as the "Overweight Pomeranian" in Victorian England. They are quite furry, with profuse hair and short prick ears. They are the most popular large spitz type breed in England and North America. Their sharp, clear bark make them good watch dogs, but they don't have a mean bone in their body and are affectionate and loving companions. They can be stubborn and willful, however. Keeshonds happy dogs, often called the "smiling Dutchman" for their perpetual good-natured grin. They are easy going, independent, and compliant with firm and consistent guidance. Keeshonds are clean animals, relatively low maintenance, and an alert and personable disposition. Keeshonds are independent, affectionate and alert. They make good watchdogs. They are self willed, and need proper training and firm but positive instruction to ensure compliance. They are friendly with everyone, fun loving and happy. They get along well with children and other pets. They are eager to learn, intelligent and highly trainable. Long and straight with the hairs standing out; a dense, thick ruff is over the neck. The fur is very thick over the shoulders, behind, hind legs, and chest (mane). Keeshonds require weekly brushing of their long coat with a stiff bristle brush. Take special care as ticks are hard to locate in their dense undercoat. Bathe or dry shampoo only when necessary. Extra care is required during shedding which takes place in the spring and fall. Hip dysplasia, heart defects (cardiac disease), and genetic eye diseases. Other heath concerns include epilepsy and hypothyroidism. The Keeshond will adapt to any exercise regimen whether it is demanding or easy, but they will keep fitter with regular activity. hey are thinking dogs and require guidance, motivation and patience. The Keeshond does well in obedience training. Keeshonds do well in an urban setting if they are exercised on a regular basis. They should not be locked away from their family. A six foot fence should be around the property to prevent escaping. 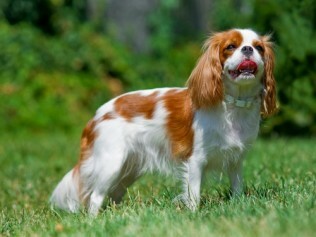 The best owner for this breed would be a family living in the city, suburban or rural area. They are very adaptable dogs.